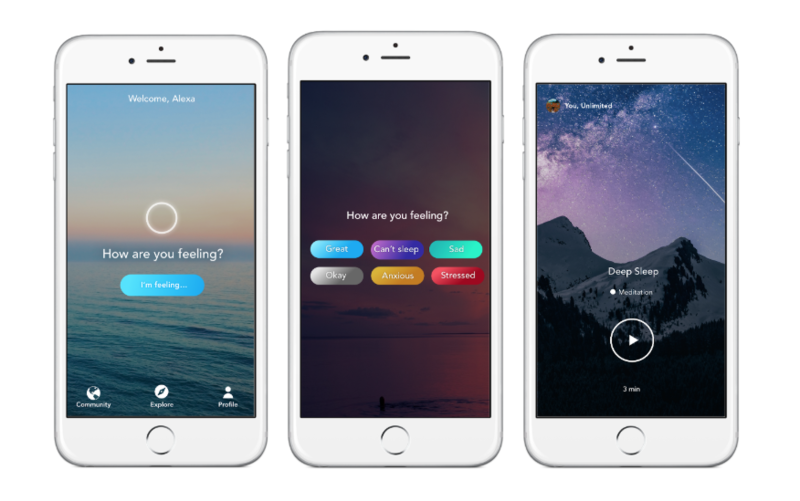 Aura, an app for emotional well-being, has raised a $2.7 million seed round co-led by Cowboy Ventures and Reach Capital, with participation from others. When Aura first launched a couple of years ago, its bread and butter was short, three-to-seven-minute meditations based on your current mood — be that stressed, anxious, happy or sad. Since then, co-founders Steve and Daniel Lee say the company has grown to a few million users. Aura works with therapists, coaches and meditation teachers to offer a variety of content to help people get the type of help they’re looking for. In addition to meditation, Aura offers life coaching, music and inspirational stories. Premium users, who pay $60 per year, have unlimited access to content, while free users are limited to three minutes of wellness content once every two hours. Aura is not currently sharing how many paid customers it has. With the funding in tow, Aura has plans to expand its base of content creators and grow its team — which currently consists just of the Lee brothers. Down the road, Aura envisions integrating the app with wearable devices and their respective sensors to detect mood automatically. That way, Aura would be able to serve up what you need before you know you need it. The company also plans to become more than just a content platform by building additional tools on top of the core service.